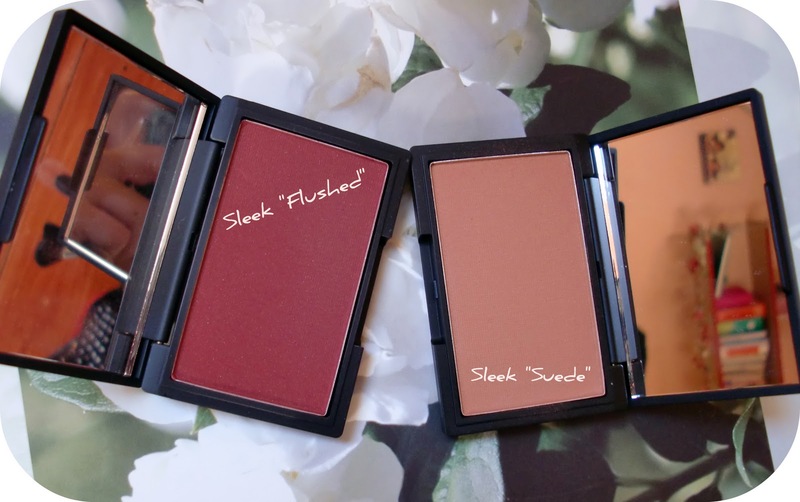 Here is a comparison of the blushes of Sleek in "Flushed" and "Suede". Also I will show you the match with the lipstick of MAC "velvet teddy". I have a medium skintone and "Suede" blush looks quite natural on me. With this blush I can set my focus on dark eyes or strong lip colors. It also matches the lipstick of MAC "velvet teddy" because it has the same natural-orangy undertone.